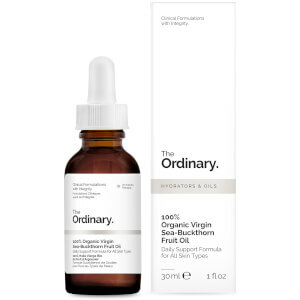 Plump, nourish and revitalize skin with The Ordinary 100% Organic Virgin Chia Seed Oil; a sustainably-sourced, organic, virgin and cold-pressed oil packed with a nutritive blend of fatty acids, vitamins, minerals and antioxidants. The multipurpose oil can be used to deeply moisturize skin and plump the look of wrinkles, or to soften and condition hair for irresistibly shiny and silky locks. Free from water, alcohol, silicone and allergens. I am fair skinned with ROSECA SKIN. I am sure those who with Roseca know how how hard it is to find Products for our Super Sensitive Skin. This is the first time I have found a product that I could give this product a 10***********. Usually if I try something new it ends up irritating my skin. This oil feels like silk. It feels extremely light and blends into the skin very easy and DOES NOT SIT ON TOP OF THE SKIN. This has been extremely helpful for the flaky skin due to the Roseca. My skin has never felt so good 😊. After trying a few things of The Ordinary I threw out everything I had and went on a regimen THAT A FANTASTIC CUSTOMER REPRESENTATIVE SUGGESTED FOR MY SKIN CONCERNS. THEY KNOW THEY ARE DOING. This is one of the products they suggested. I am so happy 😃 with the regimen they suggested. If you are on the fence about using this product don’t be. 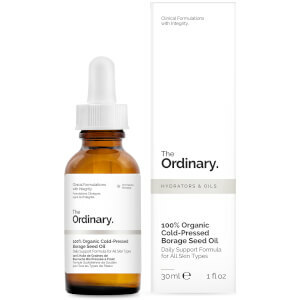 Another super product from The Ordinary.